Dog owners, take note: The 2012 Subaru Outback can fit not one, but two medium-sized dog carriers side by side in the rear load bay, and aftermarket pet-barrier options abound. Like any all-around athlete, the 2012 Subaru Outback blends capable performance and rewarding handling, surprising interior volume and great versatility, with versatility and enough high-end options to keep most buyers quite happy. The 2012 Subaru Outback, largely unchanged in its third year, sits right in the mid-size sport utility class, though whether it's a wagon or a crossover utility can be endlessly debated. It competes with five-seat utilities from the Toyota Venza and Volvo XC60 to the brawnier but less capacious Jeep Grand Cherokee. The Outback's design offers space and real-world practicality--much more so than some of its competitors--along with good handling and high gas mileage. In some of the lower trim levels, it's also a remarkable value, saving buyers as much as $3,000 upfront. Styling of the Subaru Outback includes what the company calls "SUV details," with thicker roof pillars, exaggerated wheel arches, and a chunkier look than its predecessors. It's 2 inches wider and a remarkable 4 inches taller than the previous model, but length stays the same despite almost 3 more inches in the wheelbase--which enlarges the rear door openings and makes the rear seat capacious indeed. 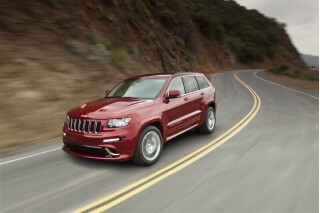 At 8.7 inches, its ground clearance bests virtually any competitor, including Jeep's range-topping Grand Cherokee. The interior styling is less noticeable, with a swooping dashboard design that's pleasant without being particularly polarizing. 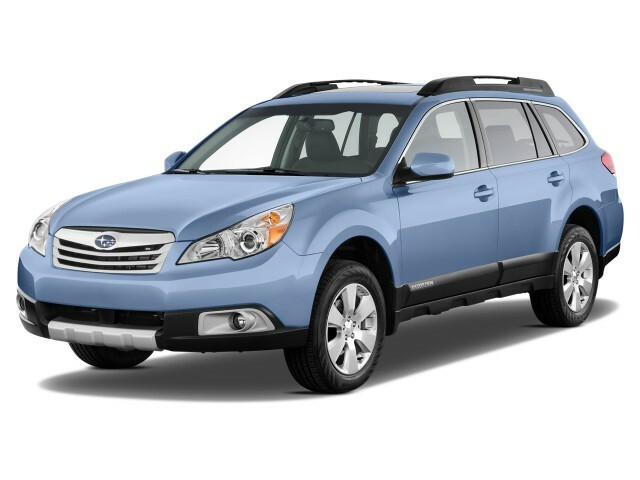 The 2012 Subaru Outback comes with all-wheel drive on every model, but it's lighter than most other AWD competitors. That means the 170-horsepower, 2.5-liter flat-four engine moves it along just fine when paired to the company's Lineartronic continuously variable transmission (CVT) or the six-speed manual gearbox offered on lower-end models as well. Subaru's CVT is one of the better examples of the breed, not too obtrusive under full-throttle acceleration but quick enough to move the car away from rest. The optional 256-hp, 3.6-liter flat-six engine comes only with a conventional five-speed automatic. That combination is smooth and quiet, and definitely gives better acceleration through its range. It's probably more fun to drive, but that comes at the cost of significantly lower gas mileage. The four with CVT is rated at 22 mpg city, 29 mpg highway, for a combined 24-mpg rating--but the best the six can do is a combined rating of just 20 mpg. The larger engine is offered only with the Premium and Limited trim levels. One of the 2012 Outback's unexpected delights is the handling and roadholding. The 'boxer,' or horizontally opposed, engine keeps the center of gravity low, so that despite its high ride height, the Outback handles better than virtually any other crossover or wagon--and it drives like a car, not a truck. The feel from the electric power steering isn't tremendous, but the vehicle really comes into its own off road. As Subaru and its owners routinely demonstrate, the stiff structure, abundant wheel travel, and electronic control systems can take the Outback up slippery slopes and rutted trails that many other crossovers just can't handle. There's copious front and rear legroom in the 2012 Subaru Outback, and the rear seat can accommodate nearly any size of adult in comfort, including headroom. There's no option for a third-row seat, however; if you need that, Subaru still offers its low-volume Tribeca crossover. The interior materials aren't particularly luxurious, with scuffable hard plastics on high-contact points like the lower door panels and center console, but they reflect the Outback's utilitarian, built-to-be-used side. Build quality is good and everything seems well screwed-together. And if you're concerned about such things, all Subaru Outbacks sold in the U.S. are built in Indiana. 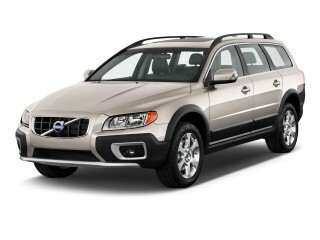 The IIHS has rated the 2012 Subaru Outback a "Top Safety Pick." For 2012, the Outback gets a new pair of audio systems, and even lower-line models can now be ordered with optional 17-inch alloy wheels and the All-Weather Package that includes heated front seats and door mirrors, and wiper de-icing. There are three trim levels--base 2.5i, Premium, and Limited--starting at a MSRP of just $23,295 and moving up to the mid-30s for the most tricked-out Limited model. Options include a 10-way power driver's seat; a power moonroof; dual-zone automatic climate control; and a Mobile Internet system that can turn the entire car into a mobile WiFi hot spot with the addition of a wireless cellular modem card. The optional navigation system is voice-activated and includes a reversing camera that displays on the 8-inch screen at the top of the center stack. The new 2012 standard audio system is an AM/FM stereo with a single CD player and Bluetooth phone and audio connectivity, iPod control, USB and auxiliary jack as standard, and six speakers. Subaru Outbacks with that system are pre-wired for Sirius XM satellite radio, which can be installed by the dealer. The higher-end audio, optional on the Premium models and standard on the Limited, is a Harmon/Kardon system with a 4.3-inch LCD display, standard XM satellite and HD radio, and nine speakers including a sub-woofer. The 2012 Subaru Outback looks brawnier and SUV-like just as crossovers are starting to get sleeker; the exterior design is a little exaggerated, but the interior styling should wear well. Entirely redesigned two years ago, the 2012 Subaru Outback sports what the company calls "SUV details"--including thick rear roof pillars, chunkier rear side windows, and exaggerated front and rear wheel arches. That makes it look less like a station wagon and more like a crossover, which will please some buyers, and make others sigh for the more graceful previous model. The latest Outback is much taller and 2 inches wider than the last model, but while the wheelbase has grown almost 3 inches, overall length hasn't. 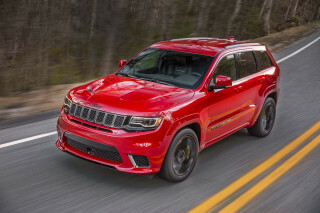 Its 8.7 inches of ground clearance beat every other rival, even the brawny Jeep Grand Cherokee, making it a deft and practical vehicle for everything from muddy country lanes to deep snow. The front end is probably the least coherent part of the Outback's design. It has very large headlights sweeping well back into the fenders, but the number of accent lines, shapes, and elements contributes to visual cacophony. If Subaru's usual product cycle holds true, by the way, the grille and front fascia are likely to be mildly restyled for 2013. Although the Outback remains a wagon version of the Legacy sedan, the plainer Legacy wagon is no longer offered, so the sum of all those "SUV details" adds up to a vehicle that looks just slightly like a steroidal cartoon of itself. Once inside the Outback, the driver faces a simple instrument cluster, with the center console sweeping down from the dash panel to the tunnel. Controls are simple, fairly large, and generally self-explanatory. The design is restrained, and while it's hardly avant garde, it's easy to imagine living with it for a number of years--not always the case with the latest and greatest instrument panel design flourishes. The 2012 Subaru Outback is a capable family hauler with a rough-roading superhero hidden inside--and many owners take advantage of its capabilities. The hidden strong suit of the 2012 Subaru Outback is its light weight. It performs adequately with just a 170-horsepower, 2.5-liter engine because the base vehicle weighs less than 3,400 pounds--hundreds of pounds less than its closest competitors. The flat-four engine is paired with either a six-speed manual transmission (in a few base models) or an all-new continuously variable transmission (CVT). That new CVT boosts fuel economy substantially, and it's nowhere near as annoying as some CVTs from other carmakers. On a full-throttle takeoff, it revs the engine to its strongest power band--around 5500 rpm--quite quickly, but somehow manages to keep the engine from being as loud and intrusive as are other fours fitted with CVTs. Level highway cruising is accomplished with engine speeds of less than 2000 rpm, and for drivers who want more control, paddle shifters behind the steering wheel permit simulated "upshifts" and "downshifts" among six "ratios" for quicker power delivery or quieter running. 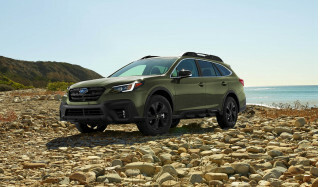 While most Outbacks will be fitted with the four, there's an optional 256-hp, 3.6-liter flat-six that comes paired with five-speed conventional automatic. The six is a nicer driving experience; it's smooth, torquey, and quiet, and will move the Outback off the line in surprisingly quick fashion. While the four is adequate, the six is actually fun, but you'll pay the penalty in vastly reduced fuel economy, with the combined rating falling from 24 mpg to 20 mpg--a substantial difference that'll cost you almost 1 gallon extra every 100 miles. Despite its height, the Outback is remarkably adept on the road. The horizontally opposed engines--also called "boxers"--lower the car's center of gravity, giving it better handling than pretty much any competitor. It feels like a car, not a truck, under any circumstances--but an exceptionally capable car that might well climb trees if you asked it to. The steering feel isn't the best we've experienced, but the roadholding makes up for it. 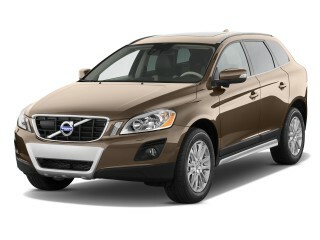 The 2012 Outback shines when you leave the pavement and take it onto dirt or gravel trails. Its stiff structure, high ground clearance, and the sophisticated control systems for its all-wheel drive work together to give it abilities that leave other makers' all-wheel drive entries stuck halfway up the slope or dug into muddy ruts. 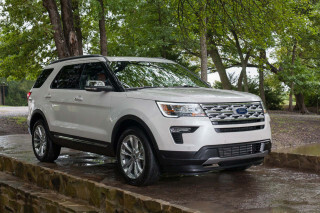 It will even keep up with four-wheel drive pickup trucks under some circumstances. The 2012 Subaru Outback has an astoundingly roomy interior that puts other crossovers to shame, paired with good ride quality and a simple, serviceable interior. The lengthy wheelbase and tall roof make the 2012 Subaru Outback remarkably spacious inside, more so than most of its competitors. The back seat is especially large, even for tall adults who will find ample headroom and legroom, but front-seat occupants too enjoy lavish legroom. The Outback doesn't come with a third-row seat, so it's limited to five passengers. (The seven-passenger option is restricted to the aging Subaru Tribeca, which has never enjoyed anything near the sales success of the Outback). Five adults can travel comfortably in the Outback, and six-footers will find the back seat comfortable even with the front seats pushed all the way back. The rear seatback is split 60/40 and, of course, folds flat to extend the load bay. But it also reclines, a feature found in very few mid-size crossovers. Subaru has worked hard to make the load bay usable, ensuring it was wide enough to fit two mid-size dog carriers side-by-side. Liftover height is less than 34 inches, and cargo volume is 34.3 cubic feet with the rear seat up, 71.3 cubic feet with it folded down. The roof-rail system has been designed to accommodate an enormous variety of third-party accessories--ski holders, kayak mounts, storage boxes, bike racks, and more--and the crossbars pivot to lie along the rails when not in use, reducing aerodynamic drag, wind noise, and fuel consumption. Inside, plenty of cubbies, trays, and bins offer enough space for the many mobile devices, glasses cases, toll tickets, bills and change, and sodas that are now an inevitable part of car travel. The interior is somewhat plain, albeit very serviceable, but the materials and build quality suit the car's practical, no-nonsense character. That's more obvious in the upmarket Limited models, which offer a nice array of features but are nowhere near luxurious. We worry a bit about the scuffable plastics used in some high-impact areas like the lower door panels, but it's a built-to-be-used vehicle for families...and adventurers too. Engine noise isn't too obtrusive under most circumstances, though you'll be well aware of it on full acceleration. Subaru still hasn't tamed the wind noise around its door mirrors, but the 2012 Outback is suitably refined for comfortable travel if hardly church-quiet. It's no longer at the top of the NHTSA's charts, but the 2012 Subaru Outback is one of the safer picks among wagons and crossovers. The first and most important safety feature on the 2012 Subaru Outback may be its full-time Symmetrical All-Wheel Drive system, one of the distinguishing features of the brand. It is backed up with stability and traction control systems, anti-lock brakes, and a Hill Holder feature that keeps the car in place on slopes of 5 percent or more (the welcome return of a Subaru feature from the Eighties and Nineties). Those features are supplemented by six airbags, along with seatbelt pre-tensioners. Our only complaint is that the blockier styling of the latest Outback impedes rearward and rear three-quarter vision, although Subaru will sell you a navigation system that includes a good backup camera. An alternative to that is a rear-vision camera that displays in a small section of the rear-view mirror, although it's offered only in cars fitted with the Power Moonroof Package. The Insurance Institute for Highway Safety (IIHS) gives the 2012 Subaru Outback its top "Good" ratings for front, side, and rear impact crashes, and the same for its new roof-crush test. These results led the institute to designate the Outback an IIHS Top Safety Pick. But the Outback did slightly less well on revised, and more stringent, crash tests by the National Highway Traffic Safety Administration (NHTSA). The agency gave the Outback four of five possible stars for frontal, side, and rollover protection--good, but not the highest marks. The 2012 Subaru Outback offers remarkable value for the money, with trim levels and features that include a few luxury and comfort items, but more often simply add practicality. There are three major trim levels for the 2012 Subaru Outback: the base 2.5i, the Premium, and the Limited. Even the simplest 2.5i has some nice standard features, including a steering column that telescopes as well as tilts, an outdoor temperature display, and three interior 12-Volt power plugs. Air conditioning and cruise control also come standard, and the base audio system has four speakers and an aux input jack. Remarkably, both Premium and the high-end Limited trim levels can be ordered with any of the three engine/transmission combinations: the 2.5-liter four with six-speed manual, the four with the LinearTronic continuously variable transmission (CVT), or the 3.6-liter flat six with a conventional five-speed automatic. Moving from 2.5i to Premium adds a power-adjustable driver's seat and standard fog lamps, among other features. 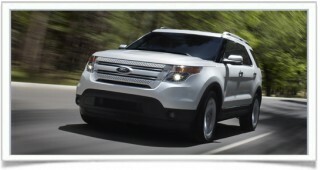 Moving up again to the Limited trim level adds in dual-zone climate control and a standard stereo from Harman Kardon. One of the 2012 Outback's more attractive features is the low starting base price of the 2.5i model, which is roughly $24,000. A fully optioned-out Limited model with the large engine still comes in around $35,000. That's at least $10,000 less than the high-end Jeep Grand Cherokee, and probably $20,000 lower than a comparable Volvo. Options on the Outback are less high-tech than they are practical. 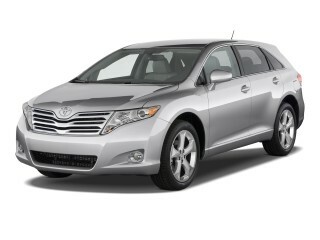 The very popular all-weather package adds heated seats, heated outside mirrors, and windshield-wiper de-icing. Other available features include dual-zone automatic climate control, a nine-speaker, 440-Watt premium sound system from Harman Kardon that includes satellite radio, a power moonroof, and a 10-way power adjustable driver's seat. Optional on the Limited trim level is a navigation system with an 8-inch dashboard display screen that also displays the picture from the backup camera. Oddly, though, getting that navigation system requires also ordering the moonroof--peculiar, to say the least. One option that regrettably isn't available on any Subaru Outback is a memory function for seat and mirror settings for multiple drivers, something that's increasingly standard on high-end cars and a feature we heartily recommend for any family vehicle. The 2012 Subaru Outback with the four-cylinder engine and CVT is rated at a remarkable 29 mpg on the highway, and real-world users may see as much as 27 mpg combined. The light weight and relatively small four-cylinder engine of the base 2012 Subaru Outback give it very good fuel economy among mid-size crossovers, even though its Green Rating isn't at the top of our scale. The EPA rates the four-cylinder with six-speed manual at 19 mpg city, 27 mpg highway, while the model equipped with the continuously variable transmission (CVT) returns a remarkable 22 mpg city, 29 mpg highway, for a combined rating of 24 mpg. And Outback drivers seem to do better than that, nearing the 27 mpg average we logged in highway driving with several mountain passes wrapped in. Steady drivers in flat territory might achieve as much as 30 mpg on the highway. The more powerful 3.6-liter six-cylinder engine doesn't do as well, with EPA ratings of 18 mpg city, 25 mpg highway, and a combined gas-mileage number of just 20 mpg. And on a separate green note, it's worth noting that Subaru offers a Partial Zero-Emission Vehicle (PZEV) equipment package for a few hundred dollars on cars sold in those states where it's not required equipment. My 3rd Subaru and one with the most room, love everything about it . Great vehicle for daily use. I like the toggle switches on the steering wheel that allows you to slow down without stepping on the brakes. Handles great in the snow and on ice. Doesn't fishtail on ice.Ccould use better fuel mileage. I came from midsized 2002 GMC Envoy into the 2012 Outback 3.6R Limited, and quite frankly couldn't be happier. In around town suburban driving, average 22.5-23.5 mpg and have broke 31 mpg on a strait highway... I came from midsized 2002 GMC Envoy into the 2012 Outback 3.6R Limited, and quite frankly couldn't be happier. In around town suburban driving, average 22.5-23.5 mpg and have broke 31 mpg on a strait highway run at around 70-72 mph, and that's with the wonderful 3.6 flat six. Nearly as much room in the Outback as I had in the Envoy, don't know how Subaru does it, however the car is significantly smaller on the outside, yet just as big and roomy on the inside. (I'm a big guy and have more room than I need, even with the sunroof, which the Envoy didn't have, because I didn't fit in an Envoy with the sunroof option). The real joy is the H6 Engine and 5 Speed. Yes, some of the newer vehicles have more gears or a CVT, but this combination is luxury car smooth with effortless acceleration. Figure around 7 seconds flat if you push it, to go from 0 to 60, say if you're pulling out into fast moving traffic. - Significantly quicker than my Envoy. Ride is darn near posh feeling and very comfortable with a fairly quiet cabin. Blame the road noise on the stock tires, the Conti-ProContacts tend to generate increasing amounts of road noise as the wear, my wife's Altima even sounds louder with the same tires. I've driven one of the newer 2015 models, which improves the vehicle even more, but just wasn't enough for me to take it over my 2012. Besides, I actually like the brushed aluminum or stainless look of the center console of the 2010-2014 models. Looking for a different year of the Subaru Outback?